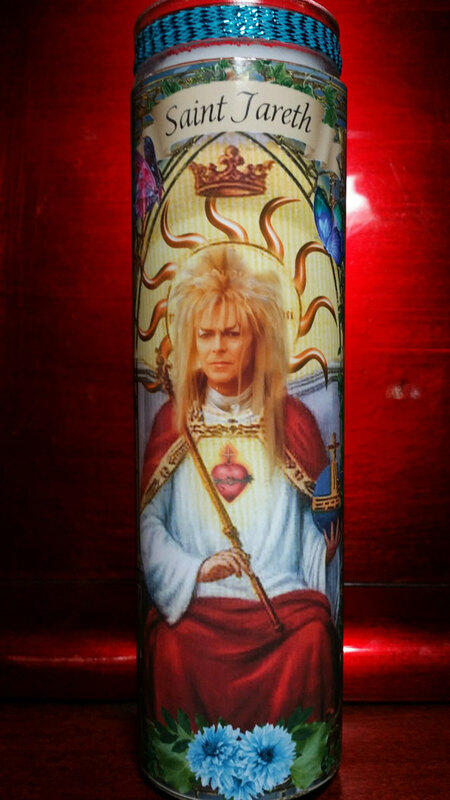 Jareth - David Bowie Celebrity Saint Candle - unscented white wax - 8" tall. 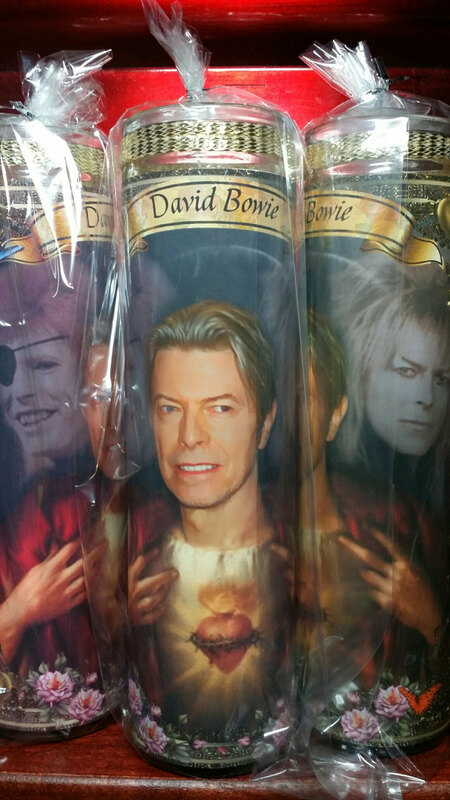 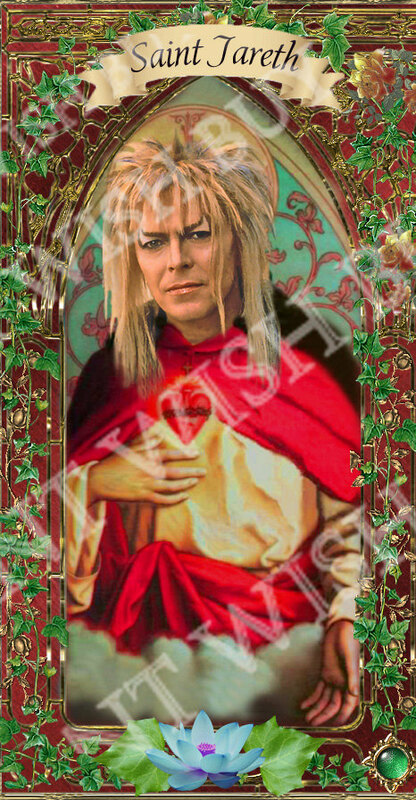 Have several David Bowie candles as well as one where Jareth is sitting on a throne. 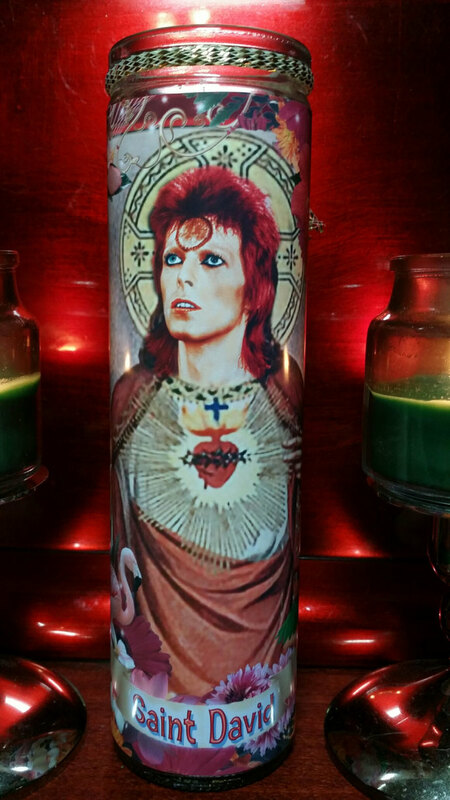 This is for the first candle pictured. 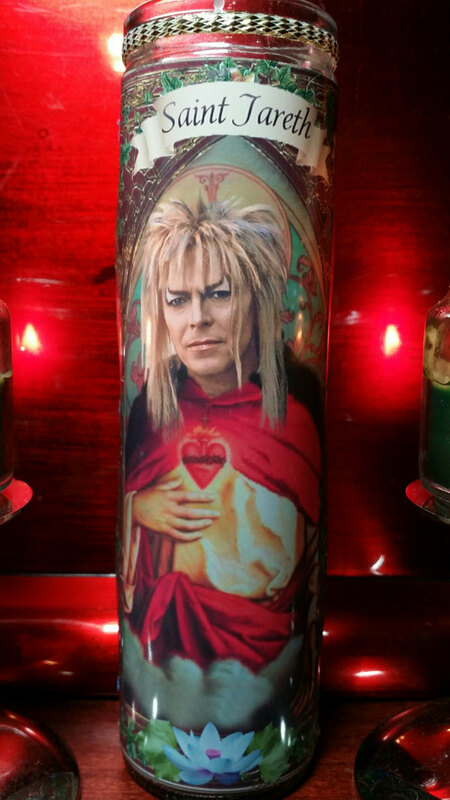 Makes a great gift for a fan or you!